Gold crystal structure. 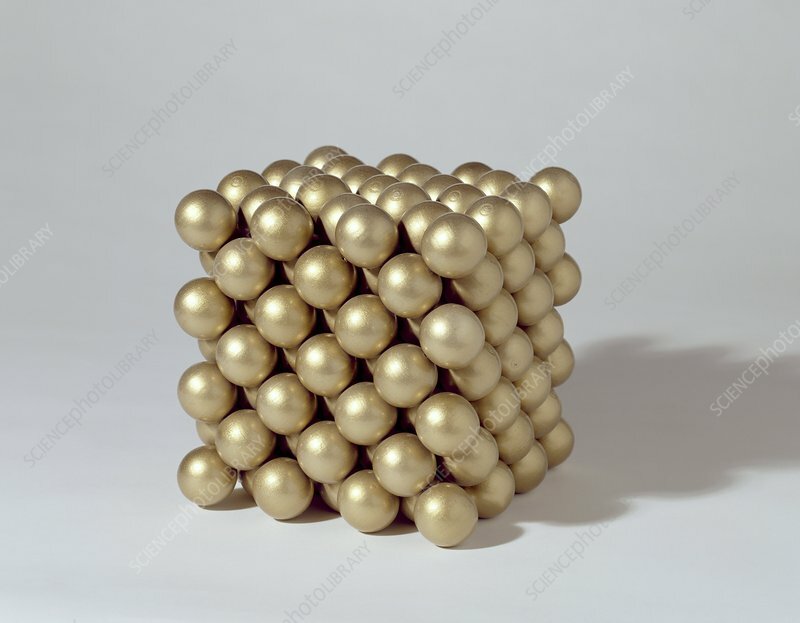 Model showing the face-centred cubic structure of atoms in a gold crystal. Gold occurs mainly as nuggets in rocks and alluvial deposits.